→What’s The Best Bed Type For Scoliosis? What’s The Best Bed Type For Scoliosis? Scoliosis is a medical condition that refers to abnormal curvature to the spine. Most people’s spines have an S-shaped curve, but those who suffer from scoliosis have spines that also curve from side to side. One side effect of having scoliosis is that it can be very hard to sleep. Many doctors recommend certain sleep positions that help alleviate the pain from scoliosis. In addition, there are certain mattresses that offer maximum pain relief for those suffering from scoliosis. By doing your research, you can successfully find a mattress that will help eliminate pressure points, properly support your spine and reduce your overall body temperature — so, even if you have scoliosis, you can enjoy great sleep. Read on to learn the best bed types for scoliosis sufferers everywhere. 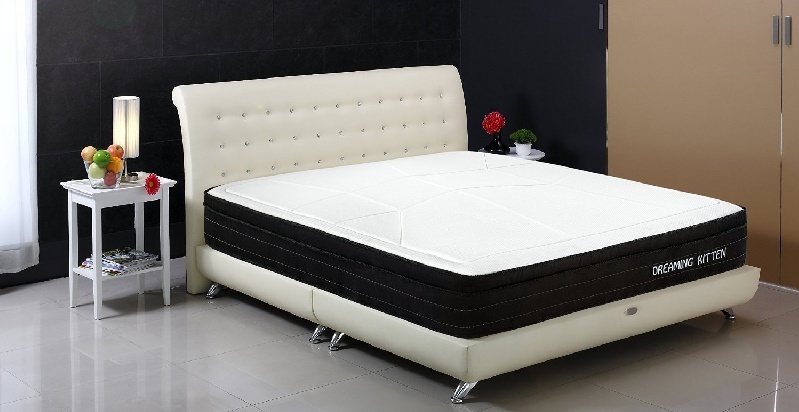 Experience pain relief with a harder mattress. Many people with scoliosis sleep better on a firmer, more stiff mattress. The soft ones that sag, pocket too deep or cradle your body too much can actually make scoliosis symptoms worse. Don’t sink into the mattress. Although your mattress should be very comfortable, make sure it doesn’t cradle your body so much that your body totally sinks into it. Instead, the mattress should contour to your body and spring back when you move. Foam is best. Many scoliosis sufferers have found that foam mattresses work best. That’s because foam mattresses are designed to cradle a person’s body just the right amount, take the shape of your body and keep you in alignment all night. Firmness depends on body weight. For scoliosis sufferers, it’s important to remember this as a general rule: The heavier the person, the more firm the mattress should be. The lighter the person, the better a slightly softer mattress could work. Forget the mattress toppers. For people suffering from scoliosis, mattress toppers simply don’t offer the support that’s needed. Scoliosis sufferers are better off not worrying about them. Thoracic curve position: To relieve pressure, try sleeping on your back with a towel or thin pillow tucked underneath your shoulder blades, as well as a standard pillow under your head. If you sleep better on your side, tuck a body pillow between your legs to help open your spinal canal. Then, put a rolled-up towel or small pillow under your upper ribcage. Lumbar curve position: You can also try different sleeping positions with a rolled-up towel directly underneath or just above your lower back. Plus, put a small pillow underneath your neck in addition to your usual pillow under your head. Try placing the pillows in different positions before leaving the pillows under your body overnight to find what works best for you. Having scoliosis doesn’t have to mean an end to great sleep. By following these tips and finding the best mattress for you, you’ll soon experience restful sleep for years to come.